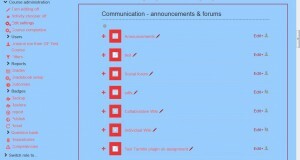 The Accessibility block allows users to customise Moodle to their visual needs. 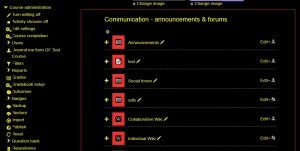 It supports changing of text sizes and colour schemes. 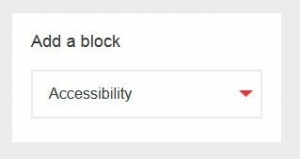 To install, select ‘Accessibility’ from the list of blocks – see how to add blocks for more info. 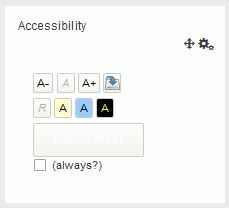 The accessibility block should now appear on your course for all users. The block allows users to decrease and increase font size, and apply three different colour schemes (images below). The settings can be reset or applied as required. Examples of the different colour schemes available using the accessibility block.